1. 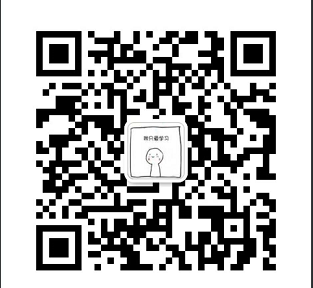 The device needs to be connected to the car charger, if you do not use the car charger, the device will automatically sleep after 5 seconds. 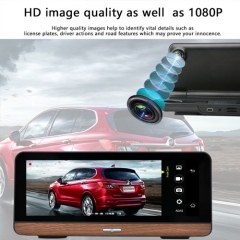 This Car DVR has two cameras that allows for simultaneously recording videos from two different angles , and have special two split view display. to the "Drop box", please do not download in other places, otherwise it will damage the original map. You will have experience as using your mobile phone, for the screen is large 7.80 inch. Super screen displays,ideal for watching HD movies playing games, browsing the web, or reading the graphics with bright colors, and provides detailed maps views, all in this 6.86 inch. 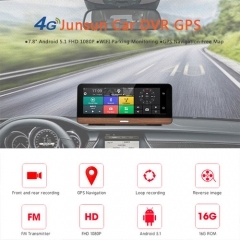 When this car dvr sets up the same FM frequency as car radio (eg.87.9), dvr will output the audio via FM transmitter function to your car speaker. 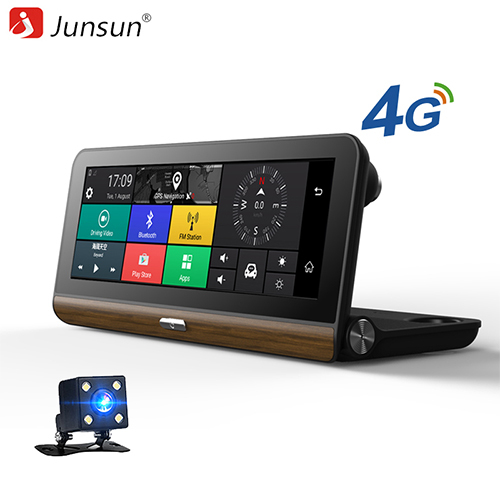 MT6735 quad core 1.3Ghz high performance processor incorporates Android 5.1 smart systems, plus it built in RAM 1GB+ROM 16GB, it makes Junsun E29 Pro operating more smoothly and achieve multiple functions. Shenzhen Junsun E-Commerce Co.,Ltd. © All Rights Reserved.